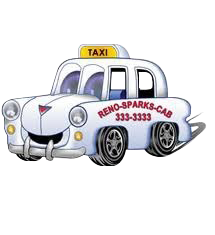 Reno Sparks Cab Company was founded in 1979 by Owner and President Roy L. Street. RSCC began as a small operation, which has grown over the years to be the largest taxi company in Northern Nevada. We have built our business based upon safe, friendly, and reliable service as well as being up to date with cutting edge dispatching technology. Service is the cornerstone of our operations here at RSCC and with service first, we will continue to grow and be a powerful presence in Northern Nevada. We offer a wide variety of services to meet the transportation needs of our customers. We have state, federal, and private accounts as well as handicap and wheel chair transportation services to service our customers in Northern Nevada. Our daily operations are focused on our customers and our drivers to ensure growth and operational success. Drivers Wanted! Reno Sparks Cab Company is looking for independent contractor taxi drivers. We want you to succeed!